After using Project Fi for two months, I’m nothing short of impressed. The quality of calls and data throughput are outstanding and the Project Fi app is the perfect companion to the service. The service is pre-paid but you are credited back any data that you do not use monetarily, making it a great value when you compare it to the other big carriers in the United States. Plus, because it can be used in over 120 different countries, you avoid the massive roaming and international fees too. It has made this 18 year veteran of another carrier switch and not look back. I have been an AT&T customer since 1997. The only time I wasn’t actively using a mobile device on AT&T was when I lived in England and even then I kept my account so when I did move back I would be able to get a SIM and up and going within minutes. When the opportunity came up to review Project Fi, I was unsure because after such a long time with one carrier, I wasn’t sure if I wanted to bother with the messiness of switching. So I met the review halfway. I kept my old number on AT&T and when I set up Project Fi on my Nexus 6, I requested a new number. The thought was, if things went pear shaped, I could simply shut off the Fi service and nobody would be the wiser (as I had just forwarded my old AT&T number to my new Fi number). I will be cancelling my AT&T service at the end of this month. After using Project Fi for the past month, in multiple locations throughout the United States, I have been so overwhelmingly pleased with the service and quality of data throughput that I will not be looking back. Indeed in some locations, I have had virtually no signal on AT&T while I have had 3G coverage with Fi. Add to that a powerful and informative dedicated app along with a pricing model that just makes sense, you have what I think is the model that should be scaring the poop out of the major carriers. over 120 countries with no roaming fees. Next comes the data component and the pricing is simple. $10 per month per Gigabyte you sign up for. So if you want a 3GB of data, it is $30 plus the $20 base fee so your bill is $50 a month plus taxes and fees. You can go as high as a 10GB per month for $100. To help keep the costs down, you only pay for the data you use each month. So for example, let’s say you have a 5GB account but only use 3GB one month. You are credited back to your account in dollars and cents the unused portion of that 5GB on your next bill. Likewise, if you go over your 5GB allotment, you are only going to be charged an additional $10 per gigabyte you use. There are no heavy handed overage fees. 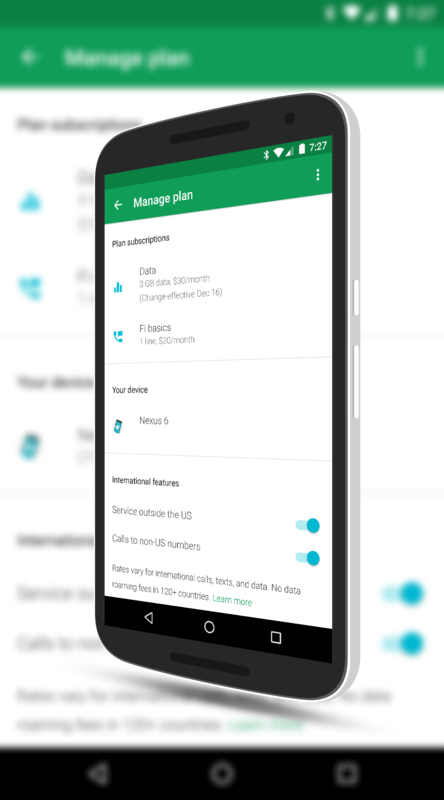 To help save you your data allotment, Project Fi leverages open, trusted Wi-Fi networks and will connect you to those access points without any user intervention. This allows you to make calls and consume data while on that free Wi-Fi network. If you go out of range of that hotspot, Fi will simply hand the call over to the carrier network so you can keep talking with your party and data consumption starts using your monthly allotment. The open Wi-Fi network is a bit of a mystery but Google states that the network has to meet their criteria as a fast and reliable network. Further, all of your data use on those networks are encrypted so you are not flying in the clear. In my experience, I have had no problem connecting up to many hotel Wi-Fi networks (I mostly stay in Marriott properties) and any Starbucks seems to be fair game for the most part. Still other places where I would expect there to be no issue with the Wi-Fi Assistant signing me up, I have had to manually get connected. Generally if there is a term of services requirement or you have to pay, it won’t work. What Google really wants you to do is pay for and use the data that you sign up for so they don’t have to credit you back a bunch at the end of each month and conversely charge you for overages. If your trend is to use 3GB per month then sign up for a 3GB account. You can always raise it or lower it in the Project Fi app (which I’ll cover later in this review) to more accurately reflect your usage patterns. For those of you who travel internationally, Project Fi is a no-brainer. Because you can use the service in 120 different countries, you avoid high roaming and data usage fees. The rate for your data use in these countries is the same as it would be if you were in the USA. The first time I went to Europe on business I racked up nearly $800 in mobile bill charges for data use and calls back to my teams in the US. I got to have a personal meeting with my CFO. Fast forward to now on Fi and that same bill would have cost me roughly $90. I should be clear that while I traveled extensively with Project Fi for this review, I did not travel internationally. I have international travel scheduled at the beginning of 2016 and plan to post an update review on how the service worked overseas at that time. Stay tuned. plenty of data and never had really any issue. There were a few times on my way from Denver to Steamboat Springs that I dropped down to 3G but on AT&T, I was on EDGE in those same locations. 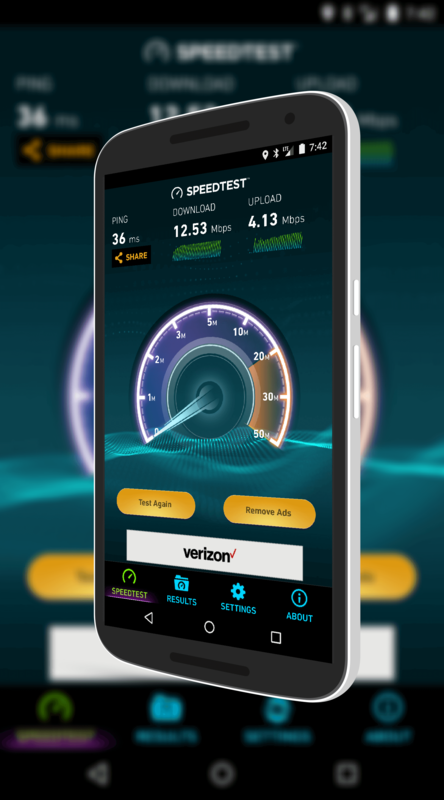 The two measures of success for any mobile carrier are voice quality/connection fails and data throughput. Over the course of my month using Project Fi, I have placed will over 200 calls from my Nexus 6 (I keep track of my calls with a great service from Shango that gives me weekly and monthly reports in my Google Drive of my calls and texts). In those calls I have not had any noticable call quality issues. I never had a call where I could not hear the other party or vise versa nor did I have jitter (dropped parts of a call). I purposely had calls I started on Wi-Fi and moved to cellular too in that mix and I did not experience any dropped calls. In reading user forums, I know some have experienced dropped calls on these hand-offs and I’ll point back to the engineering gymnastics that it takes for it to even happen. While I haven’t experienced a dropped call on hand-off yet, you might so keep that in mind. Generally speaking I would say the voice quality is on par with any other carrier. I would say that the reliability of the connect is slightly better than I have experienced on other carriers. When it comes to data throughput, Project Fi was far superior in many locations over AT&T. When I was in Manhattan for example, on AT&T I was running at about 4Mbps download speeds using the Speedtest app on my phone. With Project Fi, the exact same location, I was just over 11Mpbs. In Denver, the speeds were roughly the same at 10Mbps while in Austin, Fi was over 15Mbps while AT&T was at 7Mbps. In every case the speeds I tested at on Project Fi were always faster than AT&T. To be clear here folks, I’m not picking on AT&T. They were just the other carrier I had available to me. Your mileage my vary of course depending on your location. As I put in my How To on Activating Fi service, the Project Fi app for Android is a key component to your overall experience with the service. 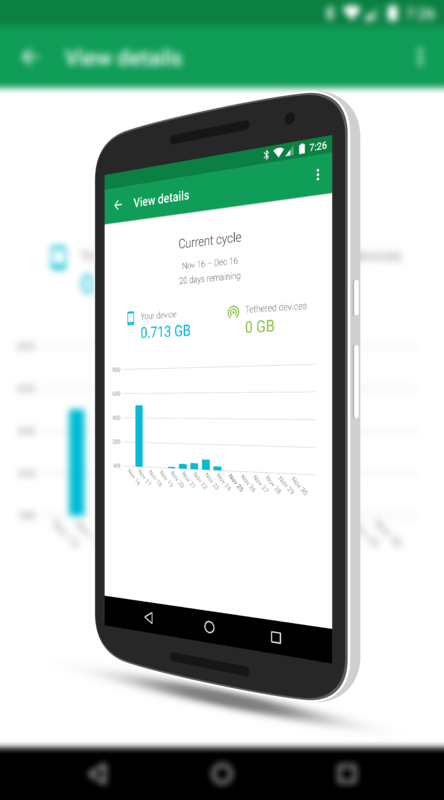 The free app allows you to see your data use for current cycle, allows you to change your data plan (which will take effect on your next billing cycle) and get in contact with the Google support team. From the app you can also view your monthly statements and you will be able to change the credit card linked to your Fi account for your monthly payments. button will give you a bar chart for each day and the data you used during that day. The shocker for me when I moved over to Fi is just how little data I use on this service. Because of the Open Wi-Fi built into the service, I find that I am on Wi-Fi without me even knowing it. That in turn saves me data. Prior to switching to Project Fi, I would consume on average about 3.5GB of data each month. Last month was my first full month on Fi and I consumed 2.2GB. Interestingly, for me, that first month involved a lot of travel across the country (as you saw above) so it wasn’t like I was at home on Wi-Fi all the time. This month, with less travel, I’m halfway through my billing cycle and I’ve yet to consume 1GB. As I said earlier in the review, Google wants you to only pay for what you use and ideally they want you to sign up for an account size that meets your needs so they are not having to credit you back constantly and you are not having to pay more than you should ahead of time. Within the Fi app you can adjust your account data allotment. When I first signed up, I signed up for 5GB per month based on my average (I wanted to give myself a bit of breathing room given I knew I had a lot of travel coming up). At the beginning of this billing cycle I moved down to 3GB, saving myself a pre-pay of $20 and Google having to credit it back to me later. Related to this, you can see all of your previous billing invoices from Google within the app so you can review them and have a record of them for tax purposes or if your company reimburses you for your mobile usage. Finally, you can get support directly from within the Project Fi app. Just swipe over to the Support tab and you have the option to either call the support team or drop them an email. The Fi support team is on staff 24/7 with emails generally replied to within a 4 hour window. If you go to the Project Fi website you can also have a chat session with the support team. Chat is not currently supported in the app. While I have been overall impressed with Fi, the app alone makes it worth giving it a try in my opinion. The topic of using a Projecct Fi SIM in a non-Nexus device has been a source of confusion for many in forums. Google makes it clear that it only works with Nexus devices in all of the advertising of the service. Which is mostly true but not 100% true. If you have an unlocked device that will work with T-Mobile, you can use Project Fi on that device. But, and this is a big but, you will only get T-Mobile coverage and you will not get the Wi-Fi call benefits. In other words, it is pretty much just rebranded T-Mobile running on your phone. The other key thing that you have to keep in mind is that you have to start with an unactivated SIM from Fi and you have to assign a new number if you are not using a Nexus device. It seems that number transfer only works with a Nexus device – which is odd but frankly the fact that it works at all is pretty cool. To close out this topic, let me be clear. Google doesn’t support non-Nexus devices on Project Fi. Nor do I. 🙂 Just because I’m telling you it should work doesn’t mean it will work. So if you order a Project Fi SIM, slap it into your Moto X, OnePlus 2 or whatever you happen to be carrying, if it does work you will be limited to T-Mobile only service. With the announcement of the Nexus 5X and Nexus 6P yesterday, many were focused on the price of the devices. With the 5X starting at $379 and the 6P starting at $499, they are certainly within the price range of an upper mid-range and flagship device respectively. What wasn’t covered in any detail was the Project Fi payment plan on both devices. If you apply for and receive an invite for Project Fi – which Google seemingly has sent many out in the past 24 hours – and start to setup your account, you have the option to add one of the new Nexus phones to your order. You then have the option to pay for the phone outright or you can pay for it over the course of 24 months. For the base Nexus 5X, that’s $16 per month while the base Nexus 6P will be $21 per month. You will have to pay the upfront taxes and chose if you want to speed up shipping but that’s all the up front costs you will have. Then, over the course of 24 months you will pay for your new phone at a 0% interest rate. If you want to pay it off early you can do so without penalty and if you are already a Project Fi users, you can upgrade your device and get the same payment plan options. This move by Google, coupled with the support of Project Fi for the Nexus 5X and 6P, is the clearest indicator yet that the service isn’t just an experiment but rather a service they fully intend to roll out to users. Yes it is still limited to Nexus devices and that will have to change for widespread adoption, but the markers are there that show Google is committed to the long term future of the project. I stick by those words and I think the fact that Google has dramatically cut down the time for invites to be sent out is another indicator they are in this for the long haul. The real indicator of their intent with Fi will be when the day comes that it is open to sign up for as easily as it is for AT&T, T-Mobile and Sprint here in the US. There is no indication on when or if that will happen and really, for it to be viable, someone other than Google has to have a device that works fully with Project Fi. To date, that hasn’t happened. Yet. I am fully on board with Project Fi as my carrier going forward. The service has been outstanding in my travels here in the United States and while I have not tested it internationally, I have no reason to believe the experience will be any different. The voice quality and data throughput are excellent seemingly in rural and urban areas and the Project Fi app is just outstanding for keeping track of your data use, your bills and getting support. Because Project Fi is a pre-pay plan, if you decide to give it a try, you can do so without any commitments. If it isn’t for you, you can simply deactivate your service within the app and move back to your current carrier. If you have an experience like I have had over these past few months, I doubt you will look back. I’m not, even after 18 years with the same carrier.